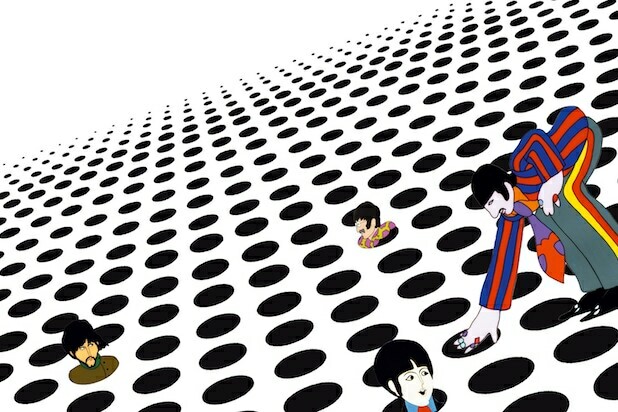 Once upon a time — or maybe twice — there was a gloriously colorful and strange film called “Yellow Submarine.” The 1968 cartoon helped usher The Beatles out of an odd, hectic period for the band and would serve as a gateway for subsequent generations of Beatles fans to come. 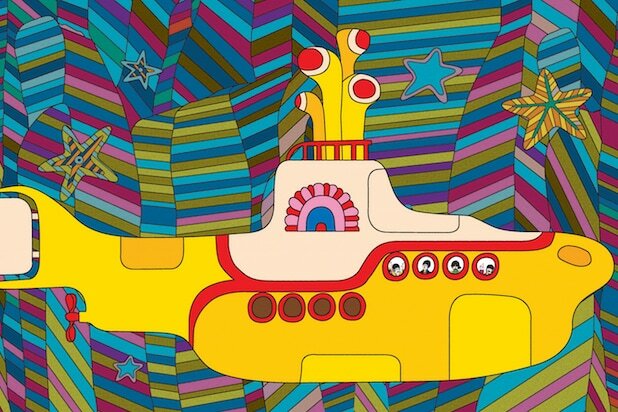 When “Yellow Submarine” was released in the summer of 1968, the Beatles were bigger than Jesus (or so John Lennon had famously said two years earlier, to plenty of criticism). But things had gotten a little rocky within the group. Their longtime manager, Brian Epstein, had died the previous summer; they endured their first flop, the British TV film “Magical Mystery Tour,” at the end of that year; they alienated some fans with a trip to India to meditate with the Maharishi Mahesh Yogi in early 1968; and Lennon was heavily into LSD and, in October, would be arrested on drug possession charges with his new girlfriend Yoko Ono, whose constant presence was not always embraced by the band or its fans. Today, Gass thinks of “Yellow Submarine” as a “rite of passage” for kids of a certain age, a way for young fans to be introduced to the Beatles’ music through a goofy story about evil Blue Meanies trying to sap the magical world of Pepperland of its happiness, with only The Beatles’ music able to save the day. But the film presented an opportunity for The Beatles to fulfill their three-picture deal with United Artists, which began with “A Hard Day’s Night” and “Help!” So the band approached the project with as little involvement as possible. They didn’t even provide their own voices to their characters, allowing actors to sub in with dopey Liverpool accents. But the band was on the hook to provide four new songs for the new album, Side 2 of which would consist of George Martin’s orchestral music from the film. 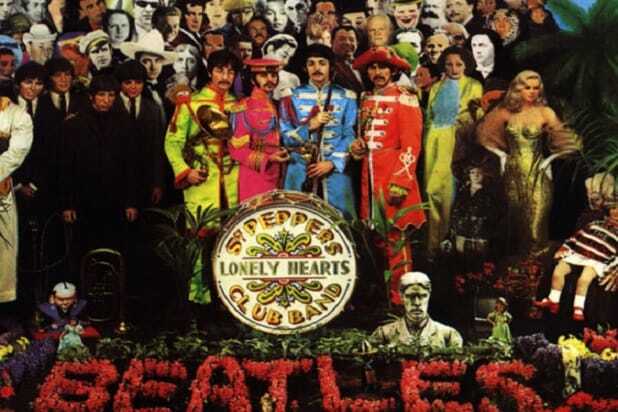 Yet the film’s irreverent in-jokes, pun-filled wordplay and psychedelic musical interludes captured much of what The Beatles’ music stood for in the mid to late ’60s. And in its time, it was a colorful oddity. Gass explained that hippies would try to attend screenings on dope or on acid if they could, and younger fans welcomed both the lovable spirit of the film and the weirdness. 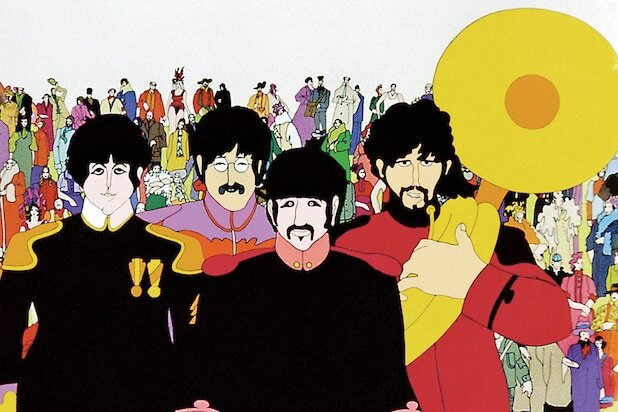 “Yellow Submarine” found a second life as a kids’ classic, getting a restoration on DVD in 1999. It will get a theatrical re-release starting on July 8 in select theaters. Gass said that Lennon even used “Yellow Submarine” as a way to introduce his own son to the fact that he was once a Beatle. “Its life as a kids’ movie is what has kept it alive and made it so sentimental,” Gass said. In his class on The Beatles, he says he’s met students who adore The Beatles’ music, but still love the film on its own merits.